Our sweet puppy turns nine months old today. 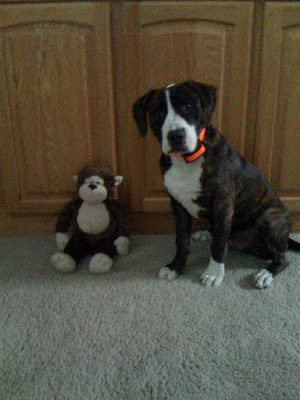 Here's your obligatory picture with the monkey to show how much he's grown. I'm still amazed.